Australia, and more specifically the Gold Coast, is accredited as the world’s popular surfing destination of choice. 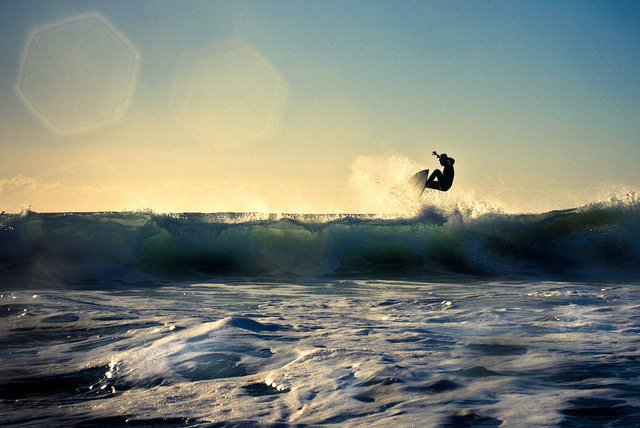 Its 37000 km sun-drenched coastline sports beaches, reefs and point breaks that pose a challenge to adept board-riders. However, there too are innumerable easy-rolling swells suitable for beginners. Besides, there are surf schools around these spots for interested learn-to surfers, that should take the least skilled of surfers and help them to differentiate between the benefits of alternative configurations of surfboard fins. Snapper Rocks, the world celebrated surfing spot on the Gold coast, is a sand bottom point break with immensely awesome conditions for board-riders. Snapper is located at Rainbow Bay and is home to the renowned ‘Super Bank’ which stands as the longest, most consistent and hollow wave in the whole wide world. If you’re lucky to land one good clean wave, it’s sure to carry you through two kilometers’ scintillating ride to Kirra. It’s in Snapper that you will find the best barrels on the Gold Coast. This explains while international surfing events like the Quicksilver and Roxy Pro are hosted here. This spot is best suitable when the swells are inclined towards the south-east. Duranbah, also known as D-bah, is argued to be Australia’s most consistent break. It is found on the Queensland-NSW border at the foot of Point Danger Headland. The long rides and throaty barrels enable board-riders to access the lefthanders off the headland. The mouth of the Tweed River protects it on the southern side giving surfers great right-handers in instances of a south-easterly swell. It is the most appropriate spot in north-east conditions because the headland protects the beach from north-east winds. It’s here that you will find Queensland’s top surfers honing their skills. Kirra, north of the Superbank, thou a previously great spot, is not the most favorable to surfers anymore, ironically as a result of the Superbank. Large sand deposits from Tweed River have stifled the famous break, making it break well only in huge south-easterly swells. Under the right conditions, surfers still adore it for its Kirra magic. Burleigh is a very popular surfing beach on the Gold Coast. It is protected from the south-easterly winds by the Burleigh Headland. In instances of a south-easterly swell, this beach provides extremely good surfing conditions and gives surfers a chance to score a Burleigh barrel which undoubtedly, is quite thrilling. South Stradbroke, also known as TOS (The Other Side) or Straddie is a man-made break which resulted from the Southport Seaway in the 1980s. It is located on the island’s southern tip, immediately after the seaway’s northern wall. You could catch a boat, ferry or jet ski to get there or make a 300m paddle. Apart from its location and accessibility, Straddie offers some of the most awesome beachbreaks in Australia. Under the right conditions, preferably in north-westerly winds, it sports deep and powerful barrels which give surfers an unforgettable experience. Noosa, the photogenic long-board break is where all roads lead to when the swell is relaxing out. The swells advance and wrap around the Noosa Headland, resulting in elongated walls of water that break into the bay. When the conditions are right, this break can produce a good 200 meter ride. However, since this is where everyone goes when everywhere else is closing out, it can be really crowded. It is suitable for beginners on smaller days. If you want to check out some pretty amazing, affordable surfboard configurations, check out FCS.